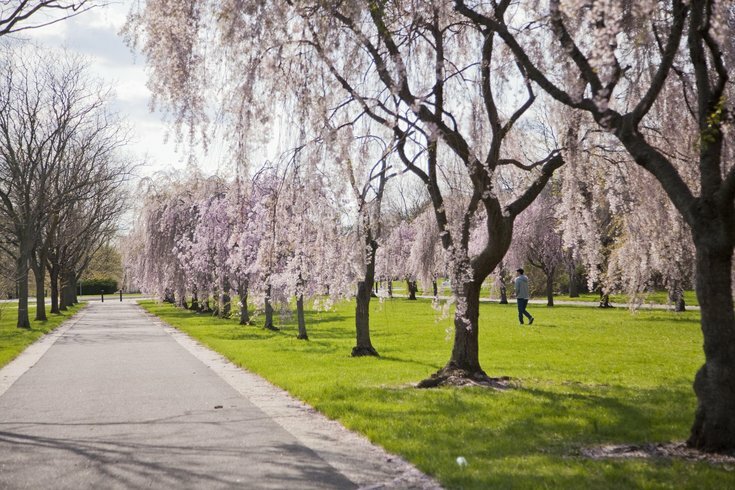 Philadelphia’s Fairmount Park is awash in pink as thousands of cherry blossom trees burst forth with their delicate blooms. The trees, which are the focal point of the city’s annual Cherry Blossom Festival, became part of the local landscape in 1926 when the Japanese government gave 1,600 flowering trees to Philadelphia in honor of the 150th anniversary of America’s independence. In 2007, a 10-year campaign to plant an additional 1,000 trees ended, creating a stunning spectacle each spring. The Cherry Blossom 10K and 5K will take place Saturday, April 14. Both races will begin and end at the Fairmount Horticulture Center. All runners will race past some of the city's best spots to view the pretty, pink flowers. Plus, the course also offers views of Memorial Hall and Shofuso Japanese House and Garden. Below is a map of the 10K and 5K routes. 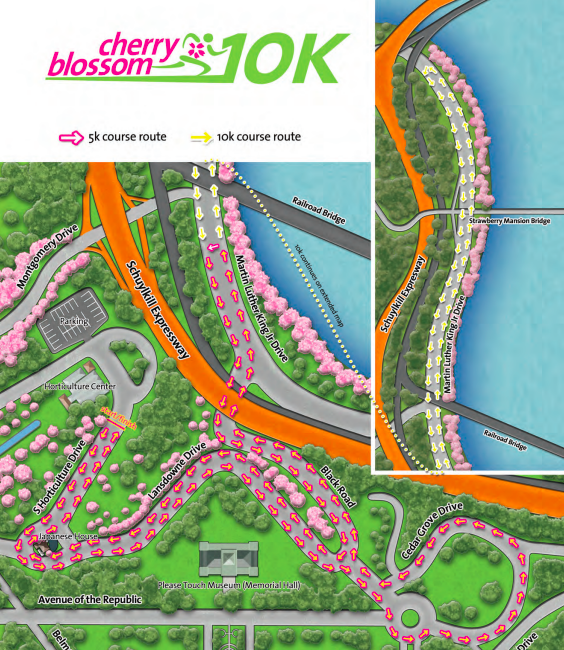 The route for the Cherry Blossom 5K and 10K. All race participants will receive free admission to Shofuso, so runners can continue to enjoy the spring blooms after crossing the finish line. Registration for the 5K is $25, and registration for the 10K is $35.